Last time I asked myself that question I decided not to. Now I think I will. This is 2 months growth on a boat that does move a lot. Usually I would go down and clean it more often, but the water conditions at the moment are not very conducive for it. So now the question is which paint do I want to use. Ya PropSpeed is one possibility I gad in mind. The other was Interprotect and a hard ablative. Had barnacles taking up residence on my propeller so had the yard treat/coat it last time I had the boat hauled. Not sure of the coating, however, as I've misplaced the invoice. That looks like Pettit Zinc Coat and accurately predicts the results I and others have achieved. It won't hurt if you don't use your prop enough to keep it relatively clean. We have Pettit's Barnacle Barrior on our props, and it works reasonably well. Rustoleum makes a similar (the same?) product available at home box stores for much lower cost. i just used the same antifoul as on the hull, lasted about 12-14 months then the prop started to grow barnacles - but i find it pretty easy to get in the water and give it a scrape nowadays. I'll do the same next time. Sailing the Great Lakes. Just polish and forget it. We will be leaving for salt water in the next year or two. Ya I sailed and kept my boat in fresh water up north before as well. It sure is a lot nicer on our boats, but not nearly as fun to be in. Try out the NORTH CHANNEL of Lake Huron. Several charters available if you don't want to bring in your own boat. We did 1200 miles there this last summer over 3.5 weeks. The pictures I showed above are after I buffed them with a fine grit D-A sander. You probably need to mechanically or chemically remove the original finish. The instructions with the paint probably address this issue. I have also found Petit and Interlux factory reps to be very helpful regarding application of the products. here is a pretty good explaination. 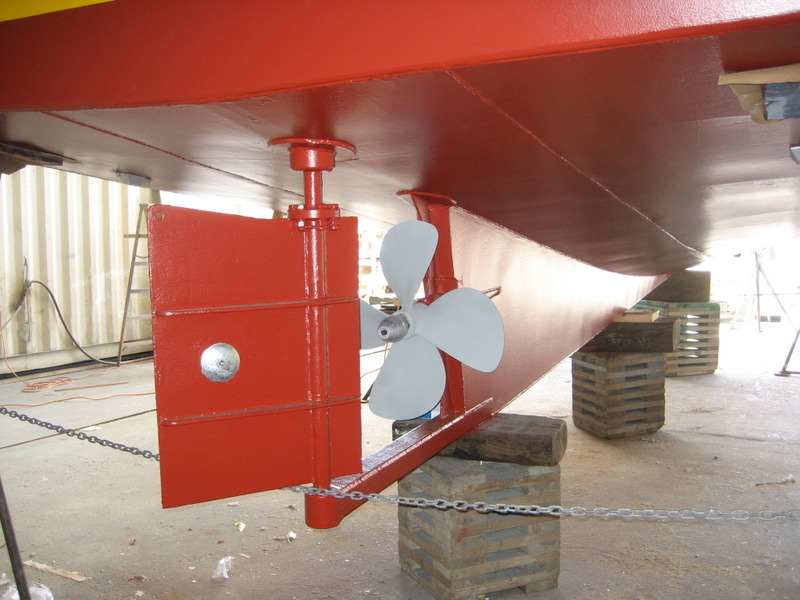 Boat Prop Antifouling, What Do YOU Do? | YachtPals.com other ideas. Underwater Propeller Cover | Underwater Propeller Cover If you are where you can comfortably dive on the prop this might be good. Prop Pak: Gimmick or useful new gizmo?